Tuesday 3rd to Thursday 5th April 2018. How do we maintain and develop our ideals, and our own ability to live up to them? How do we actually nurture our inner lives, and how do we share this with our colleagues? 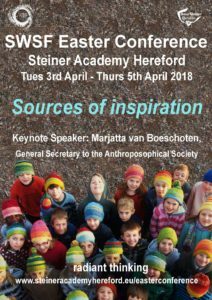 We are part of the most successful alternative education movement in the world – let’s look over the fence and let Steiner Waldorf approaches in other cultures inspire us! 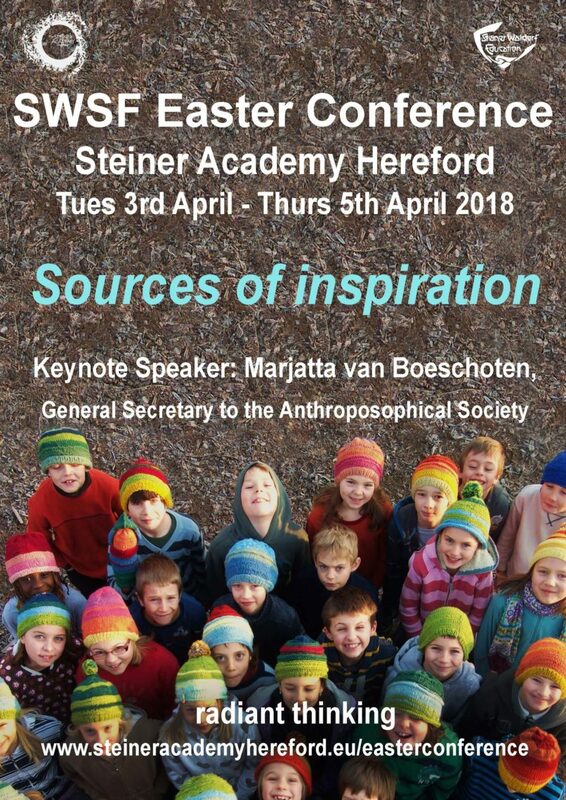 The keynote speaker will be Marjatta van Boeschoten, General Secretary of the Anthroposophical Society. Over two and a half days in Spring we will have an intriguing and refreshing mix of lectures, workshops and artistic activities – a source of strength for the year ahead! Look out for the brochure in February, and make sure you catch the early booking discount!